Artificial intelligence is wending its way into business processes. But CIOs should pause and research the potential business impact of AI tools — both good and bad. Hype over artificial intelligence reached its zenith in 2017, with CIOs, consultants and academics touting the technology as potentially automating anything from business and IT operations to customer connections. Yet through the first calendar quarter of 2018 several media organizations reported on the dangers of AI, which involves training computers to perform tasks normally requiring human intelligence. “There’s been so much hype in the media about it and this is just journalists trying to extend the hype by talking about the negative side,” says Thomas Davenport, a Babson College distinguished professor who teaches a class on cognitive technologies. Perhaps, but the concerns are hardly new and very persistent, ranging from fears about racial, gender and other biases to automated drones running amok with potentially lethal consequences. One week after the MIT Technology Review published a story titled "When an AI finally kills someone, who will be responsible?" raising the issue of what laws apply should a self-driving car strike and kill someone, a self-driving Uber car struck and killed a woman in Arizona. Timing, as they say, is everything. 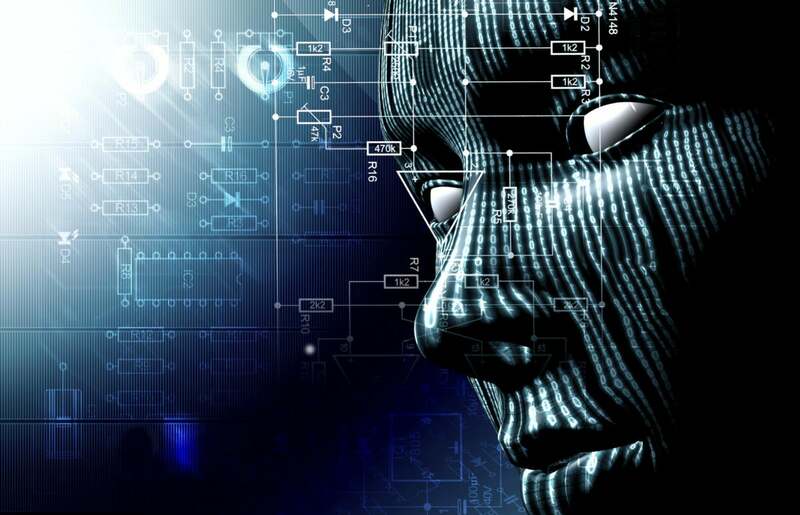 Here CIO.com details some of the concerns regarding adoption of AI, followed by recommendations for CIOs who want to begin testing the technology. As we learned from Microsoft’s disastrous Tay chatbot incident, conversational messaging systems can be nonsensical, impolite and even offensive. CIOs must be careful of what they use and how they use it. All it takes is one offensive, epithet-spewing outburst from a chatbot to destroy a brand’s friendly image. Though developed by humans, AI is, ironically, not very much like humans at all, according to Google AI scientist and Stanford University Professor Fei-Fei Li, in a column for The New York Times. Li noted that while human visual perception is deeply contextual, AI’s ability to perceive images is quite narrow. Li says that AI programmers will likely have to collaborate with domain experts — a return to the academic roots of the field — to close the gap between human and machine perception. Many enterprises want to use AI, including for some activities that may provide a strategic advantage, yet companies in sectors such as financial services must be careful that they can explain how AI arrives at its conclusions. It might be logical to infer that a homeowner who manages their electricity bills using products such as the Nest thermostat might have more free cash flow to repay their mortgage. But enabling an AI to incorporate such a qualification is problematic in the eyes of regulators, says Bruce Lee, head of operations and technology at Fannie Mae. While running a project that used Google Street View images of cars to determine the demographic makeup of towns and cities across the U.S., Stanford University Ph.D. student Timnit Gebru became concerned about racial, gender and socio-economic biases in her research. The revelation prompted Gebru to join Microsoft, where she is working to ferret out AI biases, according to Bloomberg. AI's rapid advances means risks that malicious users will soon exploit the technology to mount automated hacking attacks, mimic humans to spread misinformation or turn commercial drones into targeted weapons, according to a 98-page report crafted by 25 technical and public policy researchers from Cambridge, Oxford and Yale universities. “We all agree there are a lot of positive applications of AI,” Miles Brundage, a research fellow at Oxford’s Future of Humanity Institute, told Reuters. “There was a gap in the literature around the issue of malicious use.” The New York Times and Gizmodo also covered this report, titled, “The Malicious Use of Artificial Intelligence: Forecasting, Prevention, and Mitigation." Then there is the enslavement theory. Entrepreneur Elon Musk, of Tesla and SpaceX fame, warned that humans run the risk of becoming dependent "house cats" to AI of superior intelligence and capabilities. More recently, Israeli historian Yuval Noah Harari posited that the emergence of AI that automates everything could create a "global useless class." In such a world, democracy will be threatened because humans don't understand themselves as well as machines do. Generally, these concerns are largely overblown, according to Davenport. For example, he says that biases have also long existed within the scope of normal analytics projects. "I don’t know anyone who ever worked with analytics who will say bias doesn’t exist there," Davenport says. Davenport, who recently completed a new book, "The AI Advantage. All about big enterprise adoption of AI," says that several large companies are testing AI responsibly. Indeed, IT leaders appear to remain largely undeterred by the hype, as more than 85 percent of CIOs will be piloting AI programs by 2020 through a combination of buy, build and outsourcing, according to Gartner. And while Gartner recommends CIOs start building intelligent virtual support capabilities in areas that customers and citizens increasingly expect to be mediated through AI-based assistants, they must also work with their business peers to create a digital ethics strategy.